In this article I’m going to review the best motorcycle GPS units available and then help you learn what to look for when you’re buying a GPS for motorcycle in the buyer’s guide section How To Choose The Best Motorcycle GPS For You. There’s no doubt about it. The Garmin Zumo 595LM is the most feature rich, refined GPS motorcycle tracker unit designed specifically as a GPS for motorcycle-specific use. Every feature you could want in a motorcycle GPS comes standard on this latest model of the Garmin motorcycle GPS family. Among many advanced features, you can pair the 595 with your smartphone for hands-free calling controls. It can even show you the weather up ahead if you allow the unit to transfer data from your phone with a paired Garmin app. Unique to the 595 model is the Live Track system where friends can see your real time location on their GPS. This requires smartphone pairing. You can also get smart notifications that will show you text messages, alerts, and other important info right on the screen. I personally like the larger 5” display because it just makes the unit easier to see while riding. The bright sun-readable display has no problem handling full daylight conditions. Best for fully advanced smart features on a motorcycle-specific GPS unit. If you’re interested in the quality and reliability of a Garmin motorcycle GPS tracker but you don’t need all the advanced smart features of the expensive 595 model, consider the more affordable 395LM. 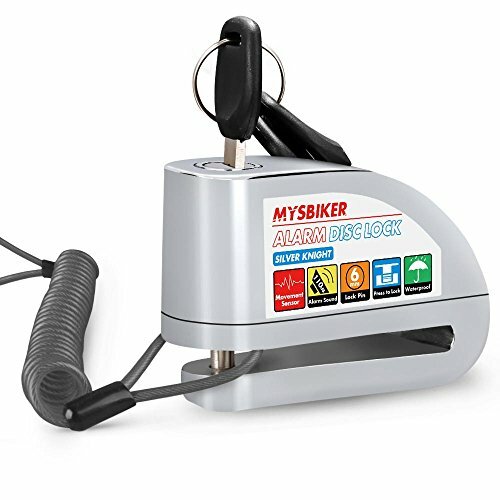 Rider alerts for sharp turns, speed cameras, etc. Many of the most critical features of any great motorcycle GPS carry over into the 395LM. Adventure routing allows you to control your route by taking more twisty roads or avoiding highways. The GPS then intelligently selects the best route for you. There are still rider alerts, music control, and hands-free calling on the 395LM. Some features you’ll lose out on are the Live Track systems and 3D terrain offered by the 595LM model. 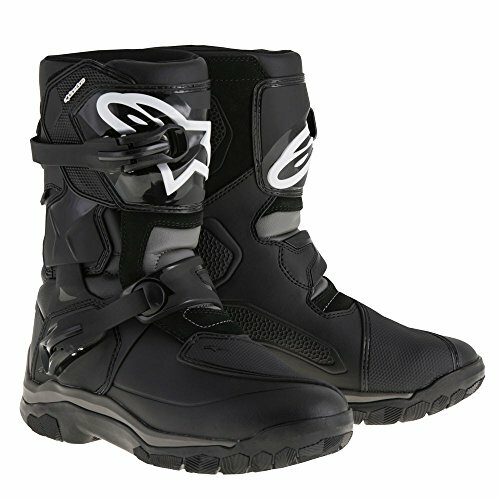 You still get a rugged, 4.3” Garmin motorcycle GPS that ready to go with waterproof construction and durability in mind. Glove operation is a breeze with the Garmin Zumo models so no need to worry about having to take off gloves all the time. Best for advanced motorcycle GPS features at a very reasonable price tag. Lifetime free maps are just another cherry on top! TomTom has always been a neck-in-neck competitor with Garmin for everything that is GPS. There’s no doubt in my mind that many will love the TomTom Rider for most of the same reasons Garmin leads the industry with Zumo model GPS units. TomTom even managed to bring us this dedicated motorcycle GPS tracker at a price we can all love! TomTom brings us an even more custom tailored route selector than the Garmin models. You get full control over both the “windy-ness” and the “hilliness” of your route. Select from winding roads or hilly roads to suit your needs. Want to explore a new area near you? The Rider 400 will create a round-trip route for you by simply tapping a location on the map you’d like to explore. Boom! That’s an awesome feature for recreational riders! By using the linked app MyDrive you can create, modify, or save routes from your smartphone, tablet, or computer. Then easily upload them straight to the Rider 400 to get out there and ride them. Some users complain that the screen is too sensitive and can be affected by water drops when riding in the rain. Best for great customizable routes on a solid GPS for motorcycle that’s extremely affordable compared to the competition. If you’re a multi-sport rider and love to ride dirt trails more than paved streets then this is the GPS for you. By far the most feature-rich off road GPS on our list the Explorist comes equipped with 115,000+ off road trails ready for you to ride. Be sure to get the TRX7 and not the TR7 because the TRX is waterproof. The TRX7 features an upgraded ruggedized and waterproof frame that you won’t find on the TR7 model. One of the coolest features about this GPS is that you can explore off road and not worry about losing your way back. The TRX7 saves waypoints as you ride and with a single touch it will lead you back to where you started! Preloaded with tons of high resolution topographic maps and over 115,000 trails there’s more off road functionality here than you’ll find anywhere else. On top of all that, Magellan made it so that all of the most critical features of this GPS will work without any cell reception at all. While this GPS will work on the road and comes with road maps, most of its features work best off-road and on trails. 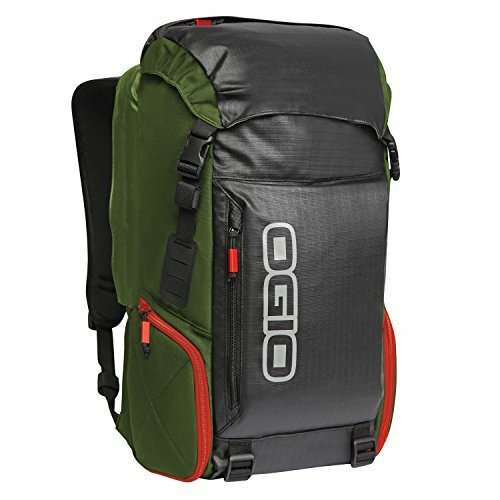 Best for off road or multi-sport riders who spend more time on trail than pavement. One of the more niche GPS navigators for motorcycle riders is made specifically for BMW riders. One major advantage for BMW riders is that this GPS is made to fit factory installed mounts right out of the box. There are several other BMW specific features that you’ll love on that blue and silver bike. Unlike many other manufacturers, Garmin made the BMW Navigator VI to be backwards compatible with all Navigator V mounts. If you have an older mount and want to upgrade, it’s guaranteed to fit! The Motorrad communication system is a BMW specific wireless control that integrates audio navigation, making calls, and listening to music. For the rider totally equipped in BMW gear, there is a clear choice here. Nothing beats the Navigator series GPS for seamless functionality. Garmin teamed up with BMW for this series of GPS units so you’ll find most of the same functions on any top Garmin GPS. I wouldn’t recommend this GPS for non-BMW riders as it doesn’t offer anything specifically new and the price tag is in the nosebleed section. However, for the niche BMW rider there can be nothing better. Best for fully-equipped die hard BMW fans. Most of the top features in the motorcycle GPS category can be found on the Garmin Zumo and the TomTom Rider series GPS units. Motorcycle specific routing, helmet communication system integration, and waterproof units are some of the most important features in today’s GPS units. Riders who love to spend time off trail will enjoy the Magellan Explorist TRX7. Of course, for the BMW fans nothing can replace the Motorrad Navigator VI. A motorcycle GPS is a handy piece of gear for riding all types of motorcycles. They can mount onto handlebars, gas tank, or windscreen. In this informative article we will help you locate the best motorcycle GPS for your specific riding needs. The best motorcycle GPS units will help you get where you’re going without being a nuisance and a distraction. And the newest motorcycle GPS units have lane notifications, they can pair with helmet headsets, and can help you avoid roads that are unsafe for motorcycles. Taking a trip or running errands in the car is just as easy as pulling out your phone and looking up directions on your maps app. Hopping on the motorcycle, however, doesn’t make using your smartphone for navigation very easy. Trying to find a way to safely use a mapping system can be tricky while still dealing with the dangers of the road to riders. So how can you be sure you’re going the right way, while still staying safe on the road? 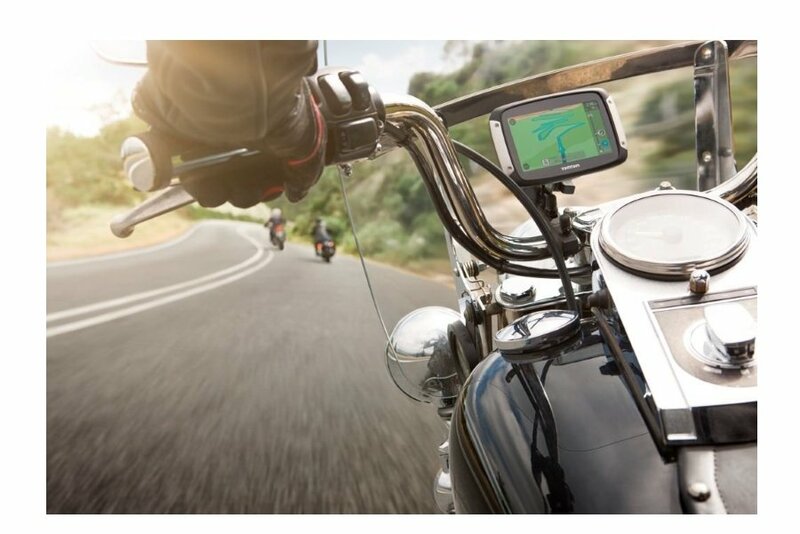 A GPS unit that is designed and optimized for motorcycles (sometimes called a “motorcycle sat nav”) can help you to navigate and locate your destination while keeping you safe by not being a distraction. In this section we show you the major features and purchase considerations when choosing the best motorcycle gps unit for your needs. For some this may be the most difficult decision when purchasing a motorcycle GPS. When it comes to selecting a GPS motorcycle mount type the most common options are tank mounted or bar mounted. Bar-mounted is a nice GPS motorcycle mount because the GPS stays in the same place relative to your perspective even when turning corners. 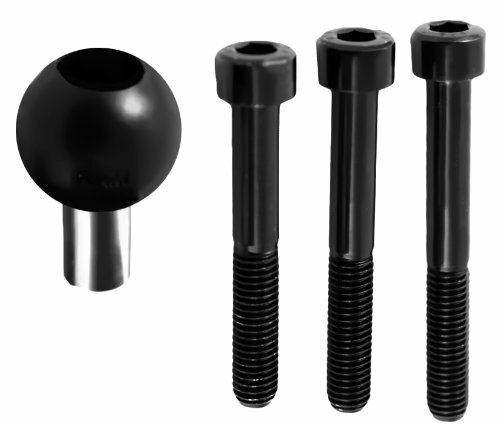 Bar mounts also tend to be a little more secure as they fully wrap around and lock into place with mounting screws. Tank-mounted GPS units can be mounted in a variety of ways. One major drawback is that you’ll have to look down in order to see them because they tend to be low and very close to you. In all cases when using tank mounted GPS holders, be sure to use a tether strap in case the GPS falls off when riding. There are many adapters and mounting systems that can be used for a GPS motorcycle mount. And several locations for mounting options. Some motorcycles don’t have room on the handlebars for accessories, or your tank may be plastic so magnetic mounts won’t work. In these cases you may have to get more creative. Basic GPS features are built into any navigation device you’ll use today. However, there are several key features that you’ll want to have in any motorcycle GPS unit. Which ones you choose are up to you and your preferences. Voice navigation is important for motorcycle GPS units. Because you’ll want to keep your eyes on the road as much as possible, being able to rely on voice prompts helps a ton! Whenever possible, look for voice navigation that can be customized. Then you can choose the distance from each turn before the voice prompts you. Headset pairing is usually done with Bluetooth technology. Some headsets and GPS units rely on other pairing tech. Just be sure to check that your GPS will work with any headset you already have. That way you can actually take advantage of turn-by-turn voice directions. Route options for motorcycle GPS units, route options are critical. This is one of the most important features I like to look for. It allows you to deselect certain route criteria and avoid road types. Avoiding gravel roads, unimproved roads, toll routes, or other roads you might not want to ride on. Some motorcycle GPS units even allow riders to select a route based on how winding the road is! Weather is always an issue on motorcycle. 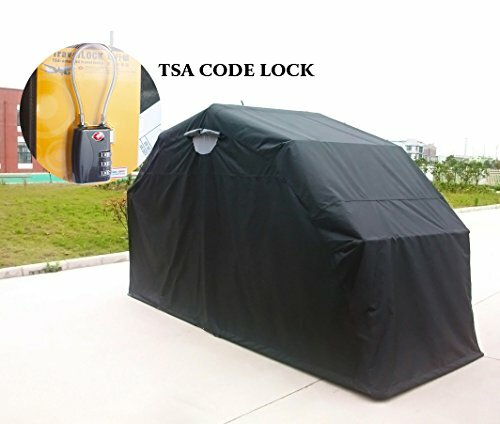 We have to be ready to take on a thunderstorm at any moment or a sporadic rain shower. 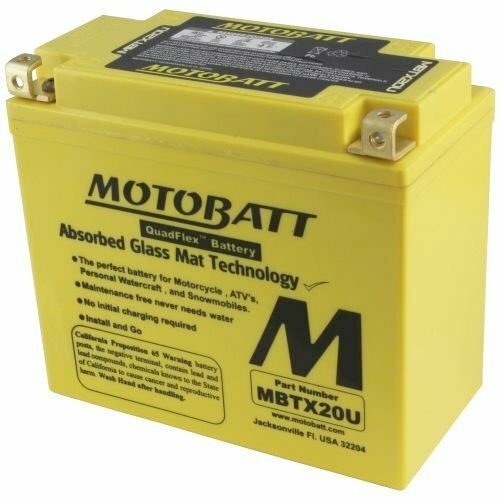 All of the gear on our motorcycles have to be prepared for this, including any electronics. 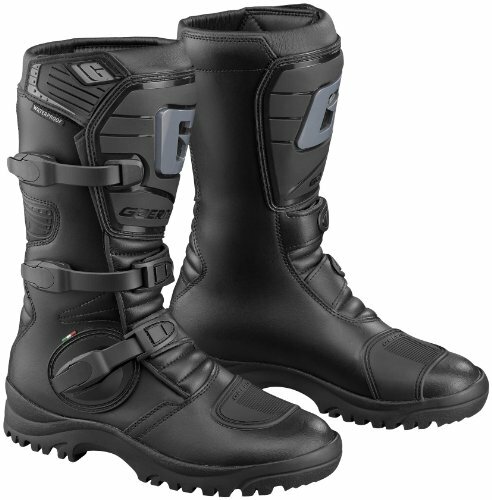 Looking for a waterproof motorbike GPS is a critical buying decision. Unlike car GPS units, motorcycle GPS units will, at some point, be accidentally exposed to rain. 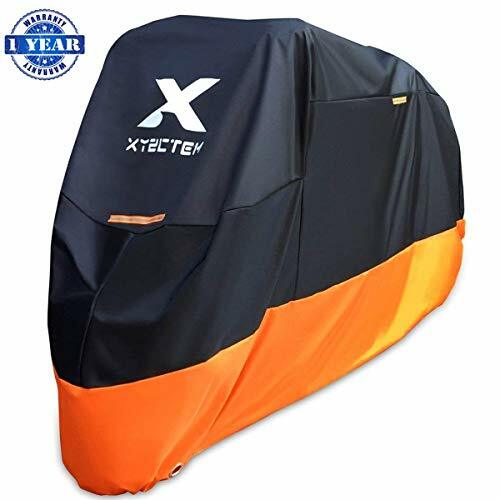 Some motorcycle tank bags feature a waterproof top cover that can be used to secure a GPS. If you have a non-waterproof GPS this is one option that might be a viable solution though it may not be ideal in all cases. While perhaps not the most important factor, frame design and component durability certainly deserve mention when you are searching for the best motorcycle GPS for you. 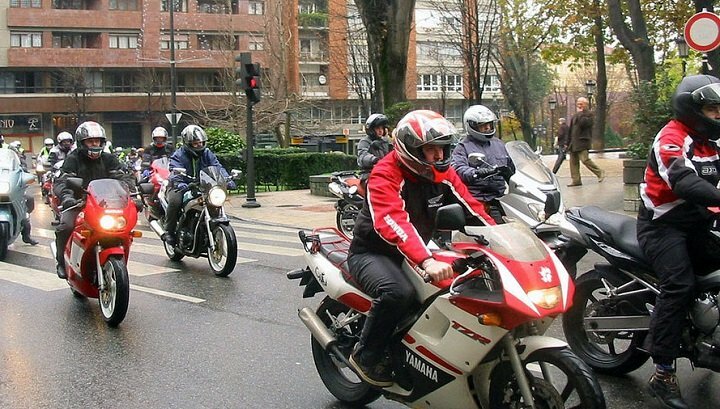 Unlike car GPS units, motorcycle units are subject to a bit more rough conditions. Therefore many manufacturers are creating motorbike GPS units with rugged frames. These frames are made usually from a thicker plastic, sometimes with rubberized edges. If you do much off road riding or plan to take the GPS on particularly harsh routes, a ruggedized frame might be worth seeking. 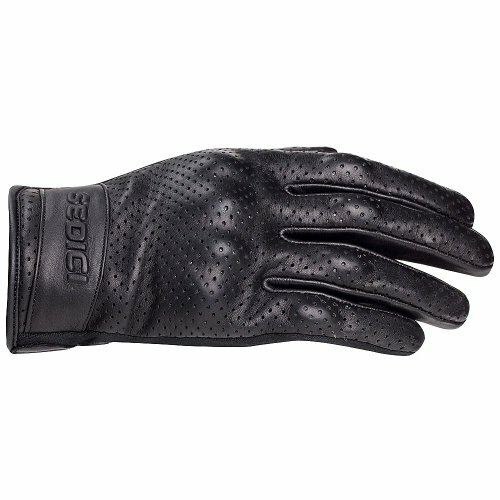 Most motorcycle riders these days are riding with gloves. Of course we can’t pull off our gloves while riding and poke the screen. With this in mind, many dedicated motorcycle GPS units now are using more simplified glove friendly designs. I highly recommend a glove friendly touch screen as it just makes life a little simpler on the road. We all know how annoying it is to get fully suited up and then realize you forgot to poke some commands on the GPS. Glove friendly GPS units are a nice choice. Whatever your needs, there’s a motorcycle GPS on our list that will make your ride all the better. Remember to check that the GPS you choose as a supported motorcycle GPS mount. Choose the correct motorcycle GPS for you by using our list and enjoy enhanced riding for years to come! Thanks for reading The 5 Best Motorcycle GPS Units Reviewed. We hope that this article gave you all the information you needed to select the brand and type of motorcycle GPS that is right for you. Outside Pursuits selected the Garmin Zumo 595LM as the best motorcycle GPS.